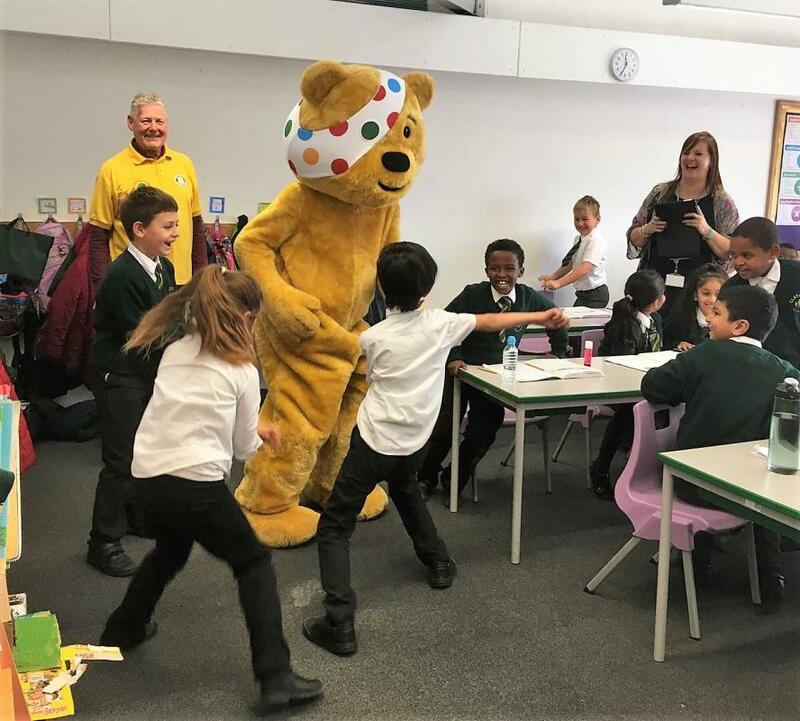 This year members of Burnham Beeches Club spent the first week of November chaperoning Pudsey Bear. We visited 11 schools throughout Burnham, Slough and the Farnhams. Pudsey had a great reception from lots of excited children (and staff ) and helped raise almost £5000 for CHILDREN in NEED. We are planning to do the same in November 2019. If you would like to take part - and take on the role 'Pudsey Bear' for a few hours (or more) we'd love to hear from you. You can be sure to have a great time, entertain hundreds of kids and help raise money for a worthwhile cause.